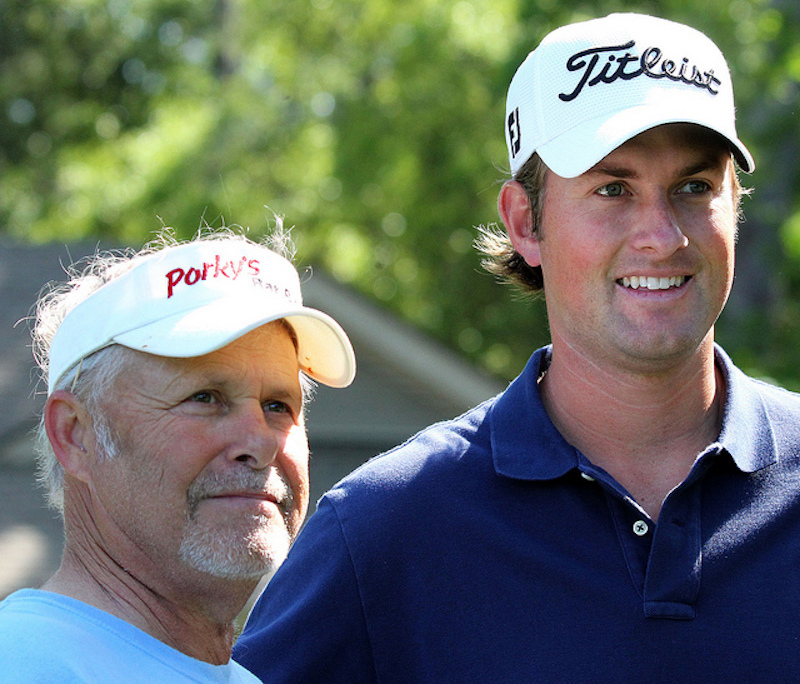 Webb Simpson, 31, has won four times on the PGA TOUR, including the 2012 U.S. Open, and has ranked as high as No. 5 in the world. Simpson and his wife, Dowd, have four children and live in Charlotte, North Carolina. Tomorrow, he is playing in the Masters for the sixth time. You have a unique vocation. How does that influence your perspective on terms like “gifting” and “calling”? I don’t see my gifting as unique. My gift happens to be golf, but another guy’s might be preaching and another’s teaching. The Lord spreads us out for his purposes and for our enjoyment of him. My calling isn’t to be a golfer. Like every other Christian, I’m called to participate in the Great Commission—to go and make disciples of all nations. My vocational context for fulfilling that calling happens to be golf. I wasn’t born to be a golfer. I was born to be a child of God. There’s a big difference in perspective when I start with that. Focusing on being a child of God, beloved by the King, makes me more focused on being effective where I am. I may have a bigger audience than someone else, but some of the most effective, faithful men I know are in a small area in terms of reach. They’re discipling a couple of guys, doing a great job in their home, and being faithful where they are. I think a danger for me and other people in my position is if we’re trying to reach a ton of people and rejecting the Great Commission of making disciples of a few. How do you view your platform as a professional golfer? A platform can allow me to do a lot of things that I wouldn’t normally be able to do with my faith, but its focus on being reach-minded can distract me from the Great Commission. The numbers may be smaller with biblical discipleship, but it’s more intimate, relational, face-to-face. This is why I don’t speak at events like I used to. It would take me 30 hours to prepare to speak to 500 people, and then I’d never hear from that group again. I wanted to get that time back and focus it on meeting with guys for discipleship. When I look at the idea of a “platform,” I ask myself, What am I standing on—the gospel or my accomplishments? If I’m standing on my accomplishments, that platform disappears when I fall, and I have to be successful to maintain it. If I stand on the solid ground of the gospel, though, I can glorify God whether I succeed or fail. It’s been almost five years since you’ve won the U.S. Open and three and a half years since your last win. What have you learned from the times when your on-course success hasn’t been as high as before? I’m a novice sufferer, and the last few years have been a trial for me vocationally. I think of Job. Satan tells God that Job only loves him for what he gives him—not for who he is. Just delighting in God for who he is, not for what he gives me, has been a sweet thought for my soul. I’ve had moments with my wife over meals where I’ve shed tears out of frustration, and then I’ve laughed at myself for crying over golf. At the same time, at the end of the day, it’s all real life—and real feelings. Not playing as well as I’d like has given me some of the sweetest moments in my marriage, and I wouldn’t trade them for being a top-10 player. Also, James 1 has been particularly meaningful—the idea of being patient in suffering and not feeling like you have to rush out of it, letting God teach you what he’s teaching you. I have a tendency to be obsessed with fixing the problem and moving on, rather than settling in and having my ears open and my heart willing to learn. The course for the Masters, Augusta National, is known for its beauty. How do you see God’s glory on the golf course? Any time I hear a bird chirping, I think of Matthew 6, when Jesus talks about how the birds neither toil nor store up for themselves, but God takes care of them. And how much more valuable are we than the birds? It’s a little reminder to me that God is good and taking care of me, no matter what it looks like. He’s always working for my good, no matter where I am. At the Masters, it’s easier to remember that, too, because it is so beautiful. Sean Martin is the events editor for PGATOUR.COM. He writes about the PGA TOUR’s tournaments and players, and helps plan coverage of golf’s biggest events. His most recent piece—and one of his all-time favorites—“Behind the Trick Shots”—featured the Bryan Brothers. Sean became a Christian in 2011, at the age of 28. He and his wife, Abby, attend Christ Church East (PCA) in Jacksonville, Florida.